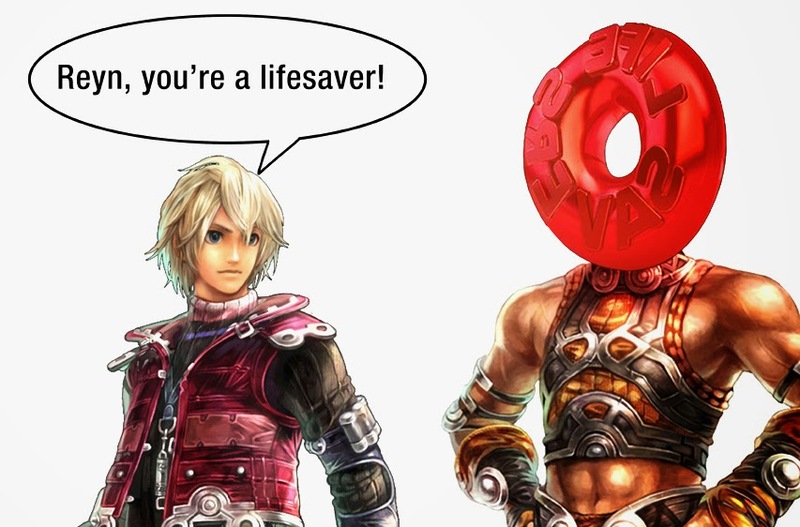 Several months ago, I gushed over all the things Xenoblade Chronicles does right. Well I'm still playing it (though there were some breaks in between) and now that I'm closer to the end of the game, I think that it's only fair that I point out some of the not so great things about the otherwise fantastic game. Last time, I said that the battle system was done right because its complexity. It's true enough that positioning can change the effectiveness of an attack, that the status effects offer a slightly new spin on things, and that seeing future attacks makes it more complicated than just waiting for each attack's cooldown to end, but in spite of being generally good in theory, the vast majority of the enemies offer little variation and fall to the same winning strategies. Bosses occasionally offer a challenge, but once you figure out what works, it does get quite repetitive. The party members have variety and you can make any of them your player-controlled character for a change of pace (until you develop the next winning strategy). That's all fine and dandy, but the two party members you don't control... you really don't control. You can tell them to focus on the same enemy as you, use up part of your meter to warn them of oncoming attacks, and choose their attacks during chain attacks, but that's it. Not having control over them wouldn't be so bad if they didn't also have mediocre AI. For example, one of the characters' main weapons is a gun and yet she constantly gets closer than necessary to enemies. Luckily (? ), the enemies also have predictable and simplistic AI which basically amounts to repeatedly attacking whoever dealt them the most damage. Since everything has bad AI, it doesn't really make the game frustrating or difficult, it just makes it less fun than it could be. This is an issue with so many games and I don't know how this annoyance gets through testing (and it looks to be a part of Xenoblade Chronicles X as well). Xenoblade is a long game, especially if you do the many side-quests, but even if it wasn't a long game, the characters' shouting before, during, and after battle gets old real quick. "Let's not lose our heads though," but "what a bunch of jokers" the developers were. I just feel like "I have to protect everyone" from repetitive battle cries. I can only hope that "the future is... changing!" If you avoid every quest (unlikely), you won't have to worry about item drops and collection at all. Even if you do go after some quests, most of them are for killing enemies you would've fought anyway and for items that aren't really that far out of the way. However, there are a few that are more out of the way and they're probably for the one side-quest you would care to do: reconstructing a certain colony. It's optional, but when you find yourself wanting a certain item that only drops from certain enemies a small percentage of the time or only appears on obscure corners of the map in groups of one, it's gonna turn into a mindless, boring grind. If there's one thing I hate in video games, it's mindless, boring grinds. Still, like I said, these items are optional and only a problem for completionists, so don't let it turn you away from the game. I like it when games actually visibly change your weapons and armor when you equip new stuff. Xenoblade Chronicles does this, and that's cool. 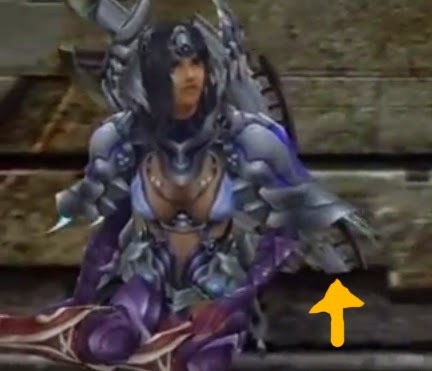 The drawback of this though, is that some weapons and armor will unnaturally clip through each other during normal use and through walls and other objects during cutscenes. It's only a minor aesthetic complaint and it would be a hassle to make sure every piece of equipment works perfectly in every cutscene, but it still detracts somewhat from the overall quality of the game. Bonus complaint: skimpy armor for girls still gives just as much or more protection. By and large, Xenoblade Chronicles is still a fantastic game. It's just not quite perfect. Here's hoping that Xenoblade Chronicles X is even better.